Discover your powers this fall! Whether you are writing a script, novel, or short story, writing’s basic building block is the “scene.” One piles on top of the next, each changing something that came before by creating and/or confronting conflict. Through a mixture of discussion and writing exercises, we’ll explore writing scenes designed to relentlessly move your story forward. CLICK HERE to give a listen to the first half of our No, YOU Tell It! 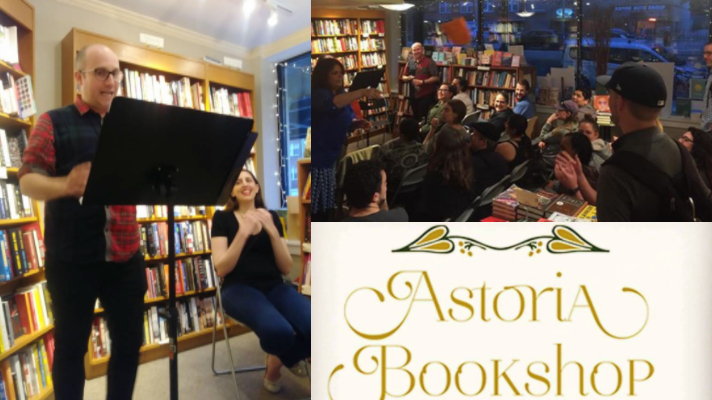 “Mayday” show, recorded live at The Astoria Bookshop on May 10th. Looking to get your creative brain moving? Need a refreshing way to mix-up your writing? Then push away from your keyboard, get ready to put pen to paper, and come mingle with other writers in person tonight at Q.E.D. Astoria. 8 pm! Save the Date for Next Month! Wonderful class creating “I-characters” at The Astoria Bookshop tonight! My “I-character” was revealed when I expressed my awe over people who are able to keep other people alive. Happy Mother’s Day! Save the date for next month – June 17th! Can’t wait that long? 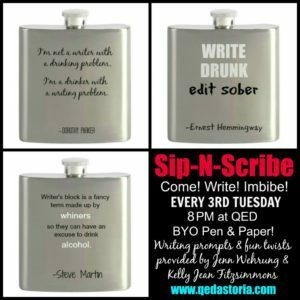 Join us at this Tuesday, 5/15, for Sip-N-Scribe at QED: A Place to Show & Tell!! Creating your I-Character: When writing creative nonfiction or memoir, part of the challenge becomes how to turn yourself into an engaging character on the page? Through a mixture of class discussion, plus reading and writing exercises, this workshop will explore ways to mine your quirks to develop your I-character and create enduring personal essays from everyday life. $10 suggested contribution. BYO Pen & Paper! Click here to RSVP via Facebook. 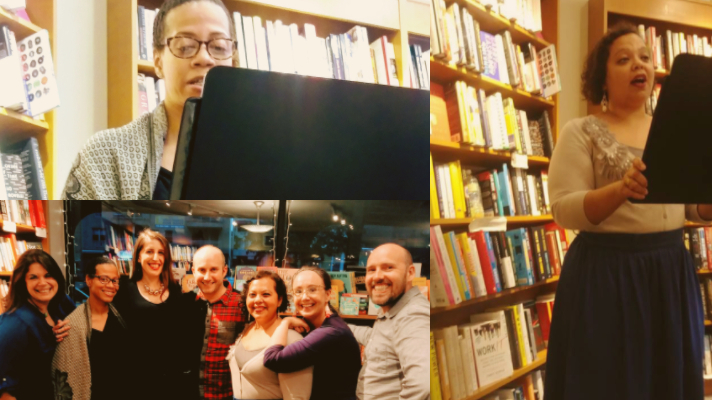 Give a listen as I talk literary citizenship, No, YOU Tell It!, and being part of the ever-growing Queens literary community in Episode 2 of Newtown Literary’s Queens Writes podcast.